With a state nickname like the “Green Mountain State,” you just know Vermont is perfect for RVers. 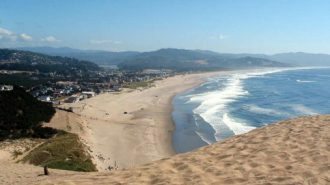 With its lush, rolling landscapes and world-renowned fall foliage, this state is an ever-changing tapestry of adventure for the RVers lucky enough to call it home, or even just to visit. You might find yourself exploring the shoreline of Lake Champlain or enjoying a swim or kayaking session along its surface, or maybe you’d rather take to the hilly woods in Smugglers’ Notch State Park. And don’t forget about quaint mountain towns filled with family-owned small businesses, boutiques, and restaurants, many of which are serving up breakfast hot with the very freshest, most authentic maple syrup you can find in the world. To be sure, you probably don’t need much convincing that Vermont is a wonderful place to visit. And RVing is the perfect way to do so. When you travel in your RV, you never have to worry about figuring out which hotel offers the best value for your money or worry about when the sheets were last laundered — or how well the job was done. 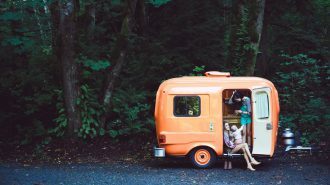 RVing offers all the privacy and luxury of your own space with the flexibility and liberation of road tripping at your own pace and with all your favorite gear in tow, whether that’s outdoor adventure items like bicycles or skis or just all your favorite outfits. 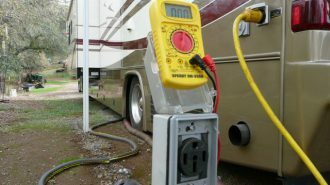 RV camping also allows you to save money and experience the comfort of a home-cooked meal on the road. Because let’s face it, even with amazing maple syrup, you can’t eat every meal out and still feel happy and healthy. There are plenty of wonderful campgrounds and RV parks in Vermont to visit, whether you’re looking for a remote, deserted landscape where you can kick back and relax or something more like an all-inclusive resort. And if you don’t already own an RV of your own, no worries: Vermont RV rentals are in ready supply, both through big, commercial rental dealerships and the peer-to-peer RV rental market right here at RVshare. 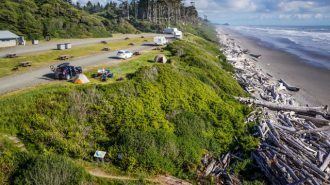 Renting an RV is a great way to experience the flexibility and affordability of the camping lifestyle without making the major investment of buying a rig of your own. 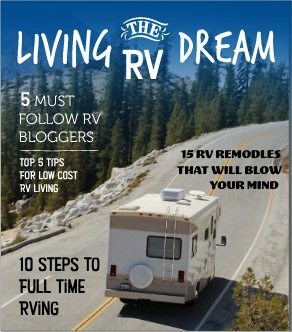 But for many of us, RV camping is a special enough experience that we soon find ourselves craving it more and more often — often enough that paying rental prices over and over again just doesn’t make sense anymore. If it’s happened to you, and you’ve been bitten by the camping bug, first of all: welcome! You’re in good company. But as you know, purchasing an RV is no small investment. 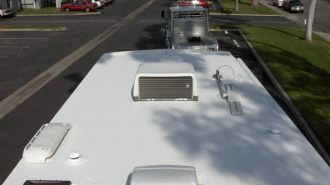 Even modest campers can cost tens of thousands of dollars, depending on the inclusions and features you desire. That’s why camping shows are such a great opportunity for RV buyers, whether it’s your first time or your third. There’s no other easier opportunity to visit and walk through so many different makes, models, and styles of RV in the same place and time. At RV shows, area dealers all gather to display their latest and greatest rigs and to offer them on sale at surprisingly low prices. After all, there’s a lot of competition in a 50,000-square-foot exhibition space — more than at the average dealership floor, to be sure! That means you can find some incredible deals that will enable you to purchase your next vehicle with less financial strain and less stress. And even if you’re not ready to buy right now, RV shows are filled with all sorts of other exhibitors and vendors all ready to help you make your next camping trip even better. You could learn about a new destination or a new tool or gadget you didn’t already know about, not to mention the simple joy of interacting with other outdoorsy folks like you. So, ready to visit the best RV shows in the state of Vermont? Here are our recommendations. Looking for the largest RV show in the state of Vermont? In its 18th annual year, this show’s been running since the turn of the century, and it’s the very best opportunity you’ll find to score a great deal on your next vacation vehicle. Held annually in spring at the Champlain Valley Exposition in Essex Junction, this event is everything you could want from a camper and RV show: you’ll find motor homes, travel trailers, park models, truck campers, fifth wheels, and more, both new and pre-owned and with easy on-the-spot financing and insurance options. Local area campgrounds will be represented, too! 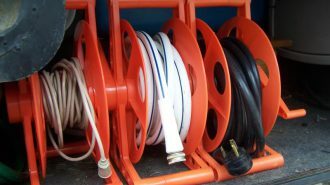 With over 50,000 square feet of RVs sprawling the temperature-controlled hallways of two cavernous buildings, chances are, if your dream rig is out there, you’ll find it here. The Annual Vermont State RV and Camping Show draws the highest-quality, most trustworthy RV dealers not only from Vermont, but also from other states in the surrounding areas, including New York and New Hampshire. Along with a wide array of great rigs of all shapes, sizes, types, and price points, these halls will also be filled with campground professionals and other outdoor vendors and exhibitors eager to answer all your questions and make your next camping trip the very best it can be. 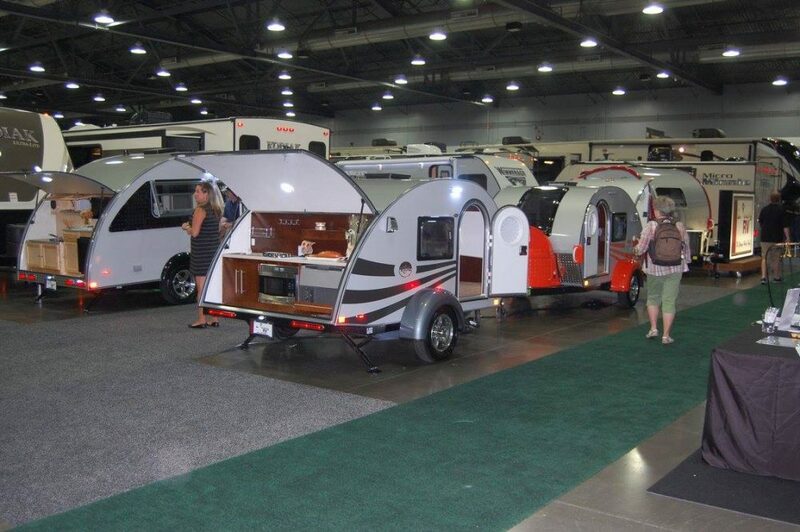 So head on out to the Annual Vermont State RV and Camping Show this February to see everything an RV camper show can be! Friday, February 23: 10 a.m. – 7 p.m.
Saturday, February 24: 10 a.m. – 7 p.m.
Children under 16: FREE with adult admission! Discounts: Click here for a free printable coupon for $2.00 off a single admission or $4.00 off two admissions! Can’t quite make it out to Essex Junction this February? Not to worry. 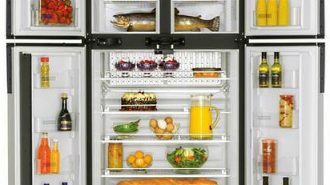 The same great organizers who put on the spring shindig are also responsible for a fall show each September, just in time to catch the best deals before the new models roll onto the showroom floors come spring. In 2018, the fall show will be in its 16th year running, so you can trust you’ll be in great hands and surrounded by only the most trustworthy names in the Vermont RV business. 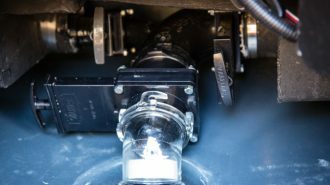 Just like during the spring version of the show, you’ll be able to explore over 50,000 square feet of campers in a range of makes and models, offered up by six of the best RV dealers in the area. The knowledgeable professionals will help walk you through your paperwork and also offer on-the-spot financing and insurance options that mean it’s possible for you to walk away from the show with your next vehicle’s keys lodged firmly in your hand! Alright, so it’s not a motorhome show — but if you’re a hunter (or just an outdoorsy person who’s been meaning to give it a try), you don’t want to miss the Yankee Sportsman’s classic, which has been a Vermont tradition for over a quarter of a century. The 2018 show will be its 26th annual! Quoted by the great poet Ellen Burns Sherman, this is the motto of the Yankee Sportsman’s Classic — and we couldn’t agree more. The organizers have set up the show to help bring you closer and reconnect you with nature in every way possible, not just through hunting and fishing. 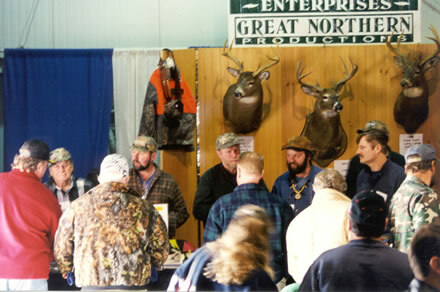 For instance, you might start the day at a free seminar on tracking the elusive mature whitetail deer on bare ground, followed up by a presentation laying out everything you never knew you needed to know about ice fishing — but later on, you might find yourself meandering the thousands of square feet of exhibition space that will be filled with vendors and exhibitors hawking all sorts of outdoor goodies, from hunting gear and clothing to RV accessories and camping equipment. Other exhibitors include the Boy Scouts of America and a variety of area campgrounds, lodges, hunting grounds and resorts, so you’re sure to leave the show with a better idea about where your next trip will take you — not to mention the skills you need to take on a new outdoor adventure when you go. Plus, many of the hands-on activities and presentations are specifically designed with children in mind, so you don’t have to worry about boring junior while you’re busy spending hours exploring all the latest outdoorsy gadgets! All seminars, events, and extras are free for you to participate in under the cost of your entry ticket. So go ahead, let yourself explore! Friday, January 19: 12 p.m. noon – 7 p.m.
Saturday, January 20: 9 a.m. – 7 p.m.
Sunday, January 21: 9 a.m. – 4 p.m. Paid admission is good for ALL THREE DAYS! Get your hand stamped at the exits and return the next day at no charge. Once again, you caught us: This one isn’t a travel trailer show. 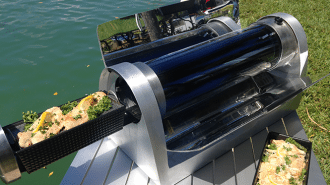 But if you’re outdoorsy and adventurous — which you clearly are as an RV camper — you don’t want to miss the 18th annual Vermont State Boat and Marine Show. It’s a great opportunity to learn more about a new way to take on your next journey. Who knows? You may just find you hear the sea calling to you for the first time this year. 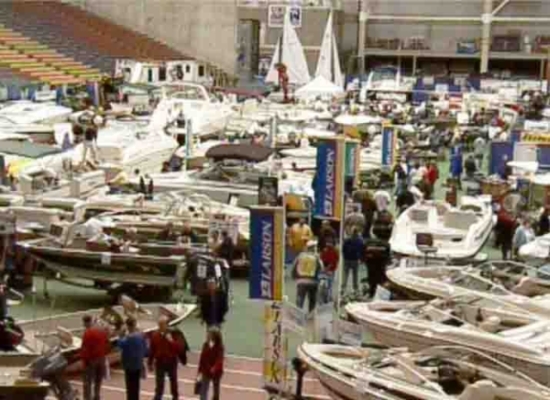 Even if you don’t decide it’s time to take to the water and buy a boat of your own, the Annual Vermont State Boat and Marine Show is a fun event to spend some quality family time at over a spring weekend. 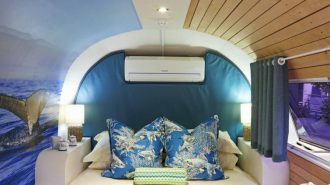 For one thing, even if you’re not in the market, it’s always fun to ogle some well-built vessels — and the show will also be attended by a variety of outdoor vendors and exhibitors whose wares and information are still relevant to RVers like you. 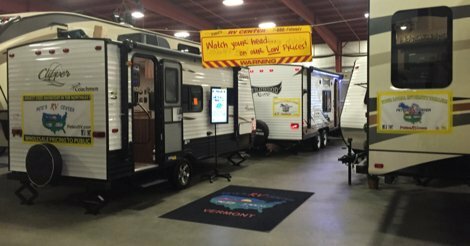 Friday, March 9: 12 p.m. noon – 7 p.m.
As you can see, Vermont doesn’t have the largest selection of RV shows in the country… but it does have some reputable, high-quality dealers who regularly attend the well-loved shows it does host. For more details about other RV shows in your area, you can search for “RV shows near me” and check out RVshare’s archive of RV shows by state. 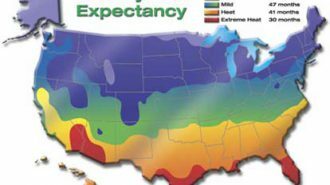 Don’t forget, you’re in the northeast, which means you’re pretty close by to your neighbors! Be sure to check out RV shows going on in New Hampshire, New York, and Maine.